How will you recognize brakes overheating? To facilitate water drainage between the road and the tire and to prevent engine wear. 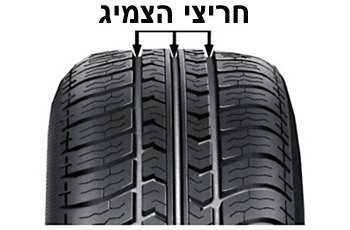 To facilitate water drainage between the road and the tire and to prevent tire wear. Is too allow water drainage from the tire on wet roads and greater friction and contact with the road..
Quick wear and tear of the braking system. Why is it necessary to use the handbrake for parking only? The parking brake cannot be used as an emergency brake. Because its handle or lever is not convenient to operate. Because its life span is short and shouldn’t be wasted on regular braking. Because the parking brake doesn’t work on all the wheels and it doesn’t have much power. Where can you find information about the vehicle’s required tyre pressure? Only in a licensed garage. In the vehicle’s insurance company. In the vehicle’s registration document. What maintenance work is required on a motorcycle? Motorcycle periodic treatment is only required before its annual test. In a new motorcycle there is no need to perform regular treatments. A periodic treatment according to the instructions of the garage manager. He knows the motorcycle best. A periodic service according to the manufacturer’s manual. Stop the motorcycle and immediately repair the fault. Take some air out of the wheels to overcome the malfunction. Change between the front and rear wheels. Stop at the next gas station and increase tire air pressure. Preventing the wheel from turning while releasing the screw nuts that hold it. It is a device attached to one of the vehicle’s wheels, to prevent movement while parking on a very steep slope. ”Booting” one of the vehicle’s wheels by a certified authority. The vehicle’s wheels stop turning as a result of strong and continuous braking. What should you pay attention to whilst parking in a closed parking lgarage? The engine should continue running for at least 20 minutes, until it cools down. The engine should not be left running for a long time, since the parking garaget is poorly ventilated. The engine should not be left running for more than half an hour continuously. Nothing. There are no restrictions on parking inside a closed parking lot. What is considered as a proper vehicle maintenance frequency? As required, and according to the pace in which malfunctions are detected in the vehicle. At the discretion of the vehicle’s owner only. The maintenance frequency recommended by the vehicle’s manufacturer. As recommended by the insurance company.